Do you have trouble remembering names or faces? This new device will never let you forget anyone. Or any encounter with someone for that matter. The OrCam MyMe is true social life tracking in a small device. What is the Orcam MyMe? 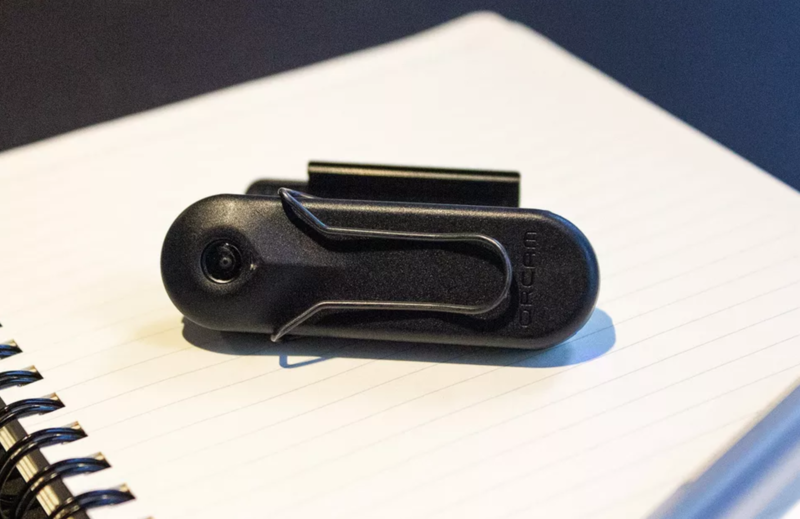 The Orcam MyMe is a small camera device you can put in your breast pocket or attach to your clothing. Onboard of this smart device is advanced AI technology that is able to recognize faces and text in real-time. With this technology you can get instant notifications about who’s in front of you. It’s all done automatically so you don’t have to remember to snap a picture of a business card or write down a name in your phone. The associated Orcam MyMe app takes all registered data about the people you know and your encounters and tracks your social life. You will know when you’ve last encountered someone and how much of your time you spend with a certain group of tagged people. Now, the OrCam seems to operate in a bit of a grey area with regards to privacy. What’s good to know is that the data you register is only being used locally, no images or videos are saved anywhere and no audio is being recorded. The faces and names of your social life are not uploaded to any cloud service so rest assured that you’re not publishing anyone’s face online without any consent. It is nice however to explain people why you’re wearing a camera attached to your clothing. Where can I get the OrCam MyMe? The OrCam is currently running its Kickstarter campaign. Depending on how quick you back this project you can get it for up to $100 less than the eventual retail price. The OrCam MyMe is scheduled for shipment in March 2019.